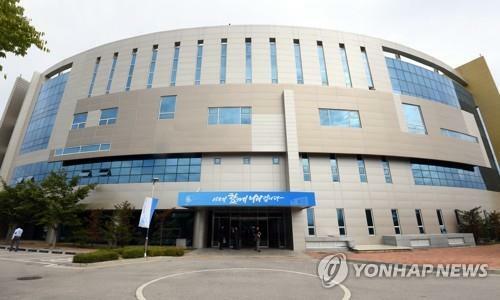 SEOUL, March 23 (Yonhap) -- North Korea's state-controlled media made no mention of the withdrawal of the staff from a liaison office with South Korea on Saturday, a day after the North's abrupt move that is seen as putting pressure on Seoul over Pyongyang's nuclear program. Weeks after a second summit between U.S. President Donald Trump and North Korean leader Kim Jong-un ended without an agreement, North Korea pulled out of the inter-Korean liaison office in the North's border city of Kaesong on Friday. North Korea's media, including the Rodong Sinmun and Korean Central Television, had kept mum on the withdrawal as of Saturday morning. Some analysts said the North's withdrawal is apparently aimed at intensifying pressure on South Korea, which has been brokering talks between Washington and Pyongyang. The office opened in September last year to facilitate inter-Korean exchanges and cooperation in accordance with an agreement that President Moon Jae-in and the North Korean leader reached at their first summit in April last year. Relations between the South and the North made significant strides last year, with Moon and Kim holding three summits, but the reconciliation process has reached a deadlock as the denuclearization negotiations between the North and the United States have made little progress.